Many of the Jewish performers over the past century and longer have entertained both the Jewish and non-Jewish public alike. 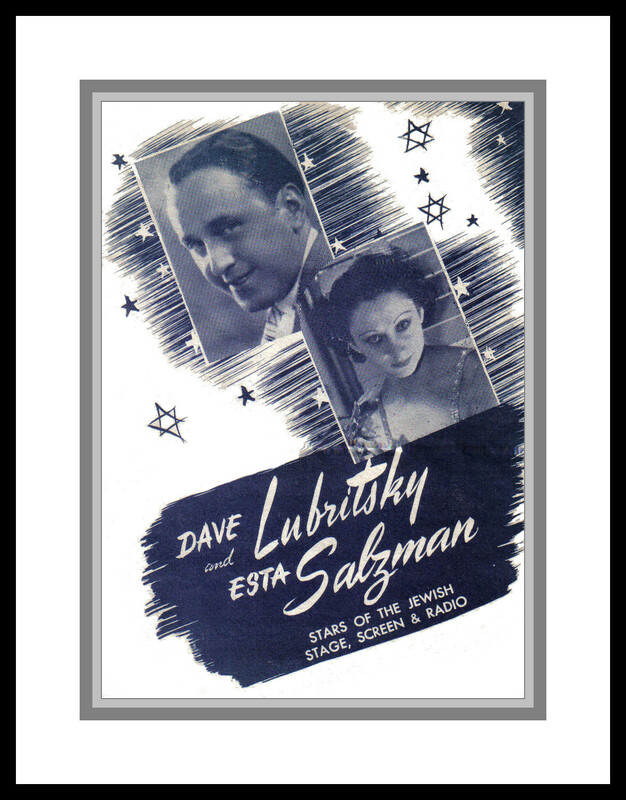 They have often acted in English, but have also performed on the Yiddish stage, participated in many wonderful Yiddish films and have been parts of many Yiddish radio programs. Such entertainers are Esta Salzman and Dave Lubritsky, and his sisters Golde and Fannie. "stars of the Jewish stage, screen & radio."